A spokesman for the Academy of Persian Language and Literature has been reported as syaing that Iranian president Ahmadinezhad has issued a decree banning the use of foreign words and urging to find substitutes for those words. I am not sure what Ahmadinezhad considers foreign words, but I assume he means any non-Persian vocabulary items or expressions that might somehow vitiate the authenticity of the language. This is a far-fetched and implausible proposition which, if taken seriously, will definitely lead the Academy into a linguistic quicksand. Let&apos;s take a look at some of the cicumstances surrounding the Persian language for the past thousands of years and see whether such ideas about its cleansing of the foreign words are viable. Persian is a legitimate descendant of a long line of languages that go back to the hypothetical Proto-Indo-European language. It has shared a common root with dozens of Indo-European languages dating back to 5,500 years ago-though controversial, this is the latest date available. That means from 3,500 B.C. Indo-Iranian and European languages have had enduring influences on each other. Moreover, Persian Empire during the Achaemenid Dynasty, around 500 B.C., stretched over vast territories bordering India in the east to lands beyond the Black Sea in Europe and covering regions in northern Africa. The Empire boasted many languages and cultures that were in contact with one another. Aside from the shared linguistic root with other languages, Iran (Persia) has bee invaded time and again by people who spoke different languages and left their indelible cultural and linguistic mark on the country. The influence of Turkish, Mongolian, Chinese and Arabic are undeniable facts. Historically, Arabic has had the most significant impact on Persian. Also many words from European languages have entered Persian through Arabic which has borrowed, extensively, from new and old European languages. Today&apos;s Iran is a multicultural and multilingual country and its official language cannot remain unsusceptible to impacts of other languages spoken within its borders. These languages have had and will continue to have their influence on Persian and vice versa. Furthermore, because of the indispensable commercial, cultural and political relationships Iran is enjoying with its neighbors and European countries, cultural and linguistic influences are inexorable. One such commercial term that comes to mind is, “ta&apos;refeh” which is of Arabic origin. It may have come directly from Arabic or through commercial activities involving Iran and European countries. Tarrif, tarif and tarrifa are loanwords in English, French and Italian languages. Reza Shah&apos;s decision to get rid of Arabic vocabulary items was influenced by his visit to Turkey and meeting with Kemal Ataturk who had opted for replacing the Arabic alphabet with Roman letters. Reza Shah ordered, unrealistically, to have Arabic vocabulary items thrown out of Persian, however, he did not follow Ataturk&apos;s suit and decided to leave the alphabet intact. Over time, words, expressions and their concepts, cultural values and dimensions and behavioral norms and patterns that have been borrowed or adopted are used in such an unconscious fashion that would prove exceedingly difficult for most people to tell what their sources or origins are. Indeed, people become indifferent or desensitized toward the sources. I do not believe many speakers of English would know the origin of the word, “check,” which I will explain below. It is one of the most spontaneously used expressions in English and yet no one seems to think twice about its background. People get caught up in their everyday rutines and do not find it essential to take time to research and understand such phenomena. They do not give them much thought except for the important roles they play in making life easier for them. These borrowings are adopted and modified to serve a purpose in people&apos;s dealings with one another and are used as a matter of convenience. Presence of the French loanword, “opozisiun”in the Iranian political jargon is not a pretentious choice in the science of semiotics or the art of eloquence, but a needful metaphor imposed on the phraseology of Iranian scholars due to the contentious reactions demonstrated vis-a-vis its Persian equivalents. Historically, in the Persian language expressions such as “gorooh” or “niroo hauyeh mokhaulef nezaum”, “niroo” or “sauzman hauyeh enghelaubi”, “niroo hauyeh zeddeh rezhime” have all been assigned certain attributes which in most cases distort the true nature of such entities. In the absence of democratic and liberal institutions in Iran, any opposition to or disagreement with the policies of the Iranian government have been labled as, terroristic, anti-revolutionary, un-Islamic and acts of provocation or treason. The use of the neutral French loanword “opozisiun “in the writings of Iranian scholars, on the other hand, does not intrinsically imply armed or violent struggle against the state. Contexts in which such metaphors appear are of vital importance and determine their conceptual pertinence. For example, whereas the expression “opposition forces” may be inclusive of the notion of armed conflict when it is used in a specific situation, it may simply signify non-violent and peaceful opposition to government policies in a democratic environment. One thing that members of the Academy of Persian Language and Literature are certainly aware of is that it is not decontextualized individual words that are dangerous, but the concepts and notions they stand for. Words without their notions or concepts are tantamount to mere vacuous totality of sounds devoid of any significance or effect and are incapable of exerting any socio-cultural influence. Thus, changing the name satellite to “mauhvaureh” does not automatically entail obstruction, alteration or eradication of the new cultural dimensions and values that accompany satellite technology. These fresh cultural dimensions may take a while before they are assimilated into the new environment, however, they will eventually succeed in leaving their imprints on it. Each TV or computer set is a Trojan horse of cultural growth carrying within its bowels the very irresistible ideas that sooner or later prevail over reactionary policies in any guise or semblance. The socio-cultural consequences that TVs and computers impart to the users cannot be entirely controlled or removed. Now I would like to provide examples of how closely connected Persian is with those languages that hail from the same ancestral root and those which have either taken away from or given to this wonderful language. These examples include both cognates and loanwords that are inseparable from the language and are, in most cases, erroneously perceived as pure Persian items by the majority of its speakers. Keeping in mind the facts mentioned above, the widespread presence of such items in the Persian language is irrevocable. First let me provide a few examples of Persian vocabulary items in English. The word, CHECK, is perhaps one of the commonest vocabulary items in English. However, this is a loanword from Persian and the origin of it goes back to the word, SHAH. Those who enjoy playing chess would know that once in a while you get to say, “checkmate.” MATE in, “checkmate” is from Persian MAUT. The word, chess is also from the same root. KHAKI: During the movements of the sixties in the U.S. and as a rightful consequence of those movements, most Americans felt the need for more casual and comfortable types of garments. This word became identified with a new generation of designs. A loanword from Persian, khaki has kept almost all the original meanings and even its phonetic spelling. This is the era when American women statred wearing the pants, so to speak. ALCOHOL: There is historical controversy surrounding this item. Iranians would love to believe they got their hands on alcohol first, but the rest of the scientific world asserts differently. They blame the Arabs for distilling this lethal agent. NAN: Another controversial item. Some experts in the field of gastronomy believe Arabs originally made nan and some say Indians did. As always, the Turks and the Iranians disagree, saying this one is their invention. Officials in these countries insist that ownership of the abstract and decontextualized semiotic representation of nan is more important than the real nan. Pajamas: Persian origin. JAMEH (garment) for PA (leg). On the other hand, looking carefully at the words JAMEH and PA you may find some curious resemblance between them and the English words, garment and paw. “Jammies” is certainly an American term. NAPHTA: This is derived from the Persian word, NAFT. Here, the argument that is used in the case of nan, takes a different turn. Those who claim that for people the idea of nan is more important than nan as a commodity, believe that ownership and control of the Black Gold and its byproducts are of vital importance. They don&apos;t care, one way or another, about the origin of the term, NAFT. GAUZE (bandage): Of Persian origin. Bazaar, kiosk and pagoda are other examples. About one hundred and twenty-five loanwords in all have been identified as being of Persian roots. They are all nouns. There are many interesting ones, but the one that I like most is, “demitass.” The second half of this word, TASS, is derived from the Persian TASHT. Imagine drinking espresso out of a TASHT. And finally here are examples of some cognates and plenty of loanwords which have swamped the Persian language. FAUMIL: Family; MAUDAR: Mother; PEDAR: Father; BARAUDAR: Brother; DOKHTAR: Daughter; NANEH: Nana. Nana&apos;s origin is unknown. It is documented as, baby talk. Let&apos;s hope the Academy will find a way out of this dilemma. After all, nobody wants to be called, “bipedar o maudar.” SHEKAR: Sanskrit; GHAND: Dravidian; GHAHVEH: Arabic; CHAI: Chinese; SAMAUVAR: Russian; TALKHI: Persian. BASIJ: Here&apos;s a classic one. This is not a cognate with the word, “besiege,” in English. It is a loanword that somehow has escaped the attention of the members of the Academy. Or they may not know what to do with this one. It will have to stay, no matter how and when it entered Persian. Originally of Latin root, it means to crowd around or to surround with hostile forces. Not a bad choice of metaphor. The word, “besiege” attested in French in the twelfth century, is made up of two separate component parts, BE and SIEGE. Siege is derived from the Latin SEDERE, to sit. GAUV: Cow, Old English/Summerian/Sanskrit/Chinese. This one always reminds me of the proverbial cow in the elementary-school kid&apos;s composition who ended it with the moral conclusion that we should all become cows. It took me decades before I realized its political implications. Astar: Steer. Old English. Steer means a young castrated ox, but the origin of the word goes back to steed, studhorse or stallion. What an excruciating enterprise. SALAUM: SHALOM: Hebrew. Let the Arabs and Israelis fight over this one. Wars should not always be over holy lands. We cannot use, HAIL, becaus the Germans own it and we have already used it to coin the word, HAUL, anyhow. Can you imagine Persians without their never-ending greetings. DAST: If we look carefully, we can find a reasonable amount of similarity between this pure Persian word and DEXTER in words like, “dexterous,” “dexterity,” “dextral” or “ambidexterous.” These items originate in Latin and have something to do with hands and their skillful use (or misuse). ABROO, CHANEH, LAB, DANDAUN: Chin, Old English, Lip, Old English, Eyebrow, Old English, Dent, French, Dental, Latin. JENS: Gens from Latin related to gene. GHOUM (tribe, relatives) is also from the same root. AJALEH: Agile from French and Latin. With Arabic-sounding inflection of other related words, you could swear this was a loanword from Arabic. But looking at its etymology I could not find anything Arabic about it. Augha: Agha Turkish. Aga is a loanword in English as well. GHORMEH: Gourmet. I find this one very fascinating. Attested in French in 1820 with origin unknown. It is derived from Old French, Groumet, meaning servant or valet in charge of selling wine or assistant to a wine merchant. Matching your wine with the food you eat is an art associated with the profession of a wine connoisseur(sommelier) or his/her assistant. I believe this is pure science and not an art. Refrain from eating your “ghormeh sabzi” with either white or red. With the rice and the beans in there you would be better off sticking to Coke and tea at the end. Remember the Zombie, GOLEM, in the movie, Lord of the Rings? It is a Biblical term and in Hebrew GOLEM means lump, clod, fool. In Jewish folklore, GOLEM, means an artificially created human being supernaturally endowed with life. In Arabic, GHOLAUM, means servant or young boy? In Middle English the word, GROM, means valet or boy. 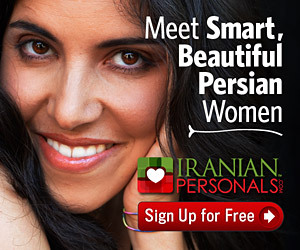 Does all this have something to do with GHORMEH SABZI that Iranians love to eat? And how did it get there? You got me. SAGHF: Scaffold, Latin, Old French. KHAUN: Mongolian meaning ruler (qa&apos;an). This word is different from the Persian item for home. POZ (DADAN): Pose from Latin. KOT: Coat of Germanic origin. KERAUVAUT: Cravat, Of Serbo-Croatian origin. MAULEH: Mallet, Middle English, Old French. There are many more words and expressions, but the above must be enough. Most of the these items are known to Persian speakers who speak other languages. There are controversies in regard to many words. Anyone interested in the history of the words can simply refer to a good dictionary and find out the roots. Almost anywhere you look in the Persian language you will find loanwords or parts of words that have come from other languages. In order to rid Persian of all these foreign items, a mere overhaul of the language will not suffice. The Academy will need to start work on creating a whole new language from scratch, developing a new system of linguistic signs and symbols and their socio-cultural concepts. A loanword becomes property of a language when it adopts the new conceptual attributes given to it by the speakers of that language and its usage becomes so spontaneous that it is not deemed awkward or out of context or foreign to those who use it. In other words, the word feels at home within the phonetic, semantic, syntactic and contextual bounds of its adoptive environment. Each loanword brings with it concepts that are characteristic of its source. Dislike for something based on political and ideological views should not bias our judgement to such a degree that we might unjustifiably try to deny its validity and practical values. Though the word “mauhvaureh,” which is made up of two(three) distinctive parts MAUH and VAUR(EH) sounds and feels Persian and is, correctly, accepted as one, its component parts are not of Persian origin. MAUH or “month” in English is rooted in the Old English MONA, related to “moon,” from Proto-Germanic MENOTH, related to, “moon,” from Proto-Indo-European MENSES, “moon, month”(perhaps ultimately from ME root meaning “measure”). VAUR(EH) or “var”, which is the abbreviated form of the words, “vary,” “variant,” “various,” “variety” and “variation,” in English, is originally from Latin. The term MAUHVAUREH means something that is similar to MAUH, but at the same time it implies deviation from it. MAUH has certain characteristics that are not present in MAUHVAUREH, the second part of which, means similar to, but not the same as MAUH. And that is exactly what “var” means in English-a variation of something that is similar to that thing in general, but deviates from it in certain particular ways. By the same token, the French word “opposition” did not become a Persian vocabulary item or a widespread colloquial term among speakers of the Persian language as much as many other French borrowings such as “koleksiun” or “fedrasiun” because of the reasons I explained earlier. While a word like “fedrasiun” fits in our speech perfectly, “opozisiun”, on the other hand, would sound awkward or would be perceived as a little too elevated for our small talks. Goethe said, learning another language helps you understand yours better. I agree and I suggest before any mutilation of the language that is so rich and beautiful, the members of the Academy of Persian Language and Literature show a little bit of respect for our predessors for having enriched and refined it with generous and unprejudiced adoption of words and expressions from such diverse sources. Moreover, I would like to add that in view of such long-standing and time-honored impacts, the myth concerning purified or cleansed Persian will remain a myth and can only be used, every now and then, to distract people&apos;s attention from their unimaginary problems which unfortunately are not very few.